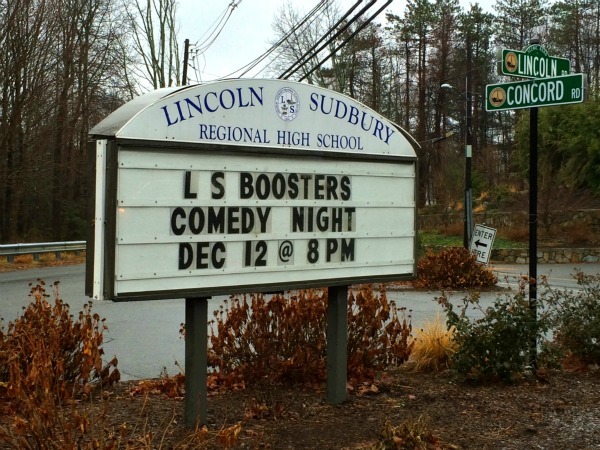 The L-S All Sports Boosters hosts our annual comedy night event each December in the L-S Auditorium. This event is appropriate for high school age students and adults. Join us for a night of laughs with friends! Tickets are $10 and are available at the door. Doors open at 7:30. The 2013 Comedy Night featured Matt D Comedy Central Show "EXPLOSION BUS" and voted Comedy Central's Comic to watch 2012!!!! !, Dave Decker -voted best in New Hampshire and Mike Koutrobis: Voted Best in NH 2011. 2012, 2013! Has his own show at Foxwoods.